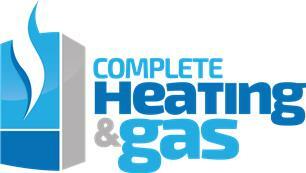 Complete Heating & Gas Ltd - Central Heating Engineer, Plumber based in Surbiton, Greater London. Invoice history based on 403 reviews. So if you are looking for a company that is courteous, on time and works to a high quality finish, call us today! Get ready for winter with are fantastic offers on boiler installations and servicing! Now offering up to 10 year free parts and labour warranty with Worcester boilers. New boiler installation and central heating specialist - We are a Worcester Bosch approved contractor. Please call for free quote. All aspects of gas, central heating. Our knowledge and competitive pricing is why complete is the no.1 choice, in our opinion. We are praised by our customers for giving honest and impartial advice, this has helped us to become one of the leading local companies for boiler install and all aspects of central heating. Please don't take my word for it though just take a look at the growing number of reviews. Surrey, South West London and the surrounding areas. All KT and SW postcodes.